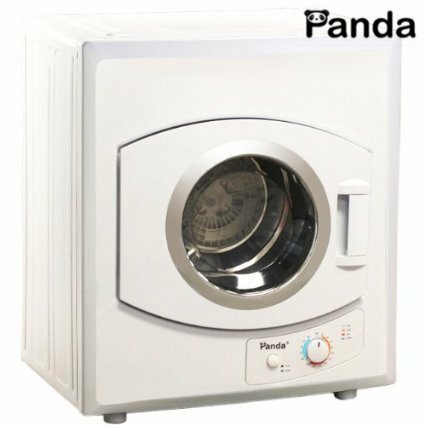 The Panda PAN4OSF compact clothes dryer 8.8 lbs cloth capability/ 2.65 cu.ft for rapidly dry clothes, table linens,bedding and so on, needing just a little space – ideal for condo or apartment. Coordinates with any Panda or other compact washer. 110 Volt – 120V/ 50HZ – 60HZ Rated Input: 1400W/ 800W Stainless steel dryer tub offering four temp levels. Easy clean lint filter. Wall installation bracket included. Dryer Dimensions: 23.62″W x 17.12″D x 27.56″H; machine weight 44 lbs. Standard one year manufacturer’s warranty included.